Toyad making a come comeback? Sarawak Chief Minister Taib Mahmud received a resounding endorsement to continue as PBB president from its 71 divisions. 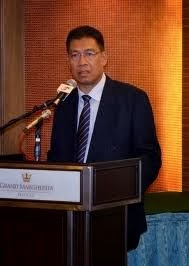 KUCHING: Former tourism minister Muhd Leo Michael Toyad appears to be coming out of the political woodwork lending weight to speculations of a bigger role awaiting him. 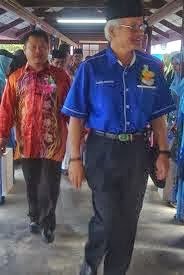 Toyad will contest against four state assistant ministers and a former state assemblyman for one of the three vice-president posts for Parti Pesaka Bumiputera Bersatu (PBB) Sarawak in the party’s election tomorrow. 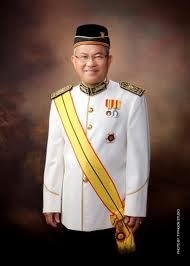 Toyad, a Melanau, has been on the local political observers’ checklist as a possible successor to Chief Minister Taib Mahmud. His comeback bid appears to lend weight to these rumours. Ageing Taib is under pressure from the federal capital to relinquish his hold on the state which he has helmed since 1982. But PBB’s spectacular performance in the May general election delivering to federal Barisan Nasional all 14 parliamentary seats it contested has further consolidated his position. Under the current circumstances, Taib PBB is now the second biggest party in BN replacing MCA which won only seven seats. Having said this, Taib is aware that time is not on his side. His focus post elections has been to tighten the reign on his party and ease the tensions in his Pesaka and Bumiputera wings. The race for his seat has seen internal sabotage and private alignments forged with Prime Minister Najib Tun Razak. But Taib has thus far out maneuvered attempts to pull the rug from under his feet. Toyad’s name began circling the wings sometime last year and FMT had reported the speculated rumours. His bid to return to active politics is telling. Toyad has Taib’s backing so his stab at the vice-presidency should bring about positive returns. In the list announced by the PBB’s 13th Convention Election Committee chairman Mohamad Asfia Awang Nasar yesterday, the other candidates in the race with Toyad are assistant ministers Daud Abdul Rahman (Chief Minister’s office), Abdul Wahab Aziz (Housing), Talip Zulpilip (Tourism); Julaihi Narawi (Industrial Development) and, Beting Maro former state assemblyman Bolhassan Di. 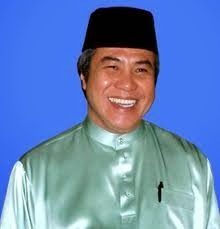 Mohamad Asfia said party president Taib was returned unopposed for the post after nominations closed at 5pm yesterday. Taib received a resounding endorsement from the party’s 71 branches which wanted him to continue holding the position. Openg, were also returned unopposed, alongside two senior vice-presidents in Awang Tengah Ali Hasan and Douglas Uggah Embas. Two vice-presidents for the Pesaka (non-Muslim) wing – MichaelManyin Jawong and Alexander Nanta Linggi – also retained their postsuncontested. Meanwhile, 14 candidates will contest for the 11 posts as supreme council members for the Bumiputera (Muslim) wing of the party. Nine others posts in the supreme council reserved for the Pesaka wing were won uncontested.